Doing Business in Germany will be facilitated, thanks the German-African Business Forum. The German Africa business forum will hold in Germany and extend to other Africa countries including Cameroon. The business forum aimed at increasing business dealings between Africa and Germany will run from March to June as indicated by one of the organises. ''GERMAN HOUSE SARL CAMEROON''. During this period exhibition and other business events will be held across major cities in Berlin. African businesses will have the opportunity to meet investors, create new business relationship and network. Products will equally be displayed for those who wants to do a purchase. This is one of the very few world business forums directed to meet the needs of African businesses and companies. if you have been looking forward to buy products in Germany or create a business relation with top German firms, then this forum is for you. You can equally discover the business environment in Germany by taking part in this forum. 7-9th March: The international trade fair for retail and promotions and import in Cologne. 8-12th March : Travel trade fair tour in Berlin. 25th-27 April : Show case of machines, system and related services from the civil engineering and recycling sectors. 27 and 29th April : Exibition of used machines from all sectors. More than 300 exhibitors will be present in this event that will take place in Augsburg. 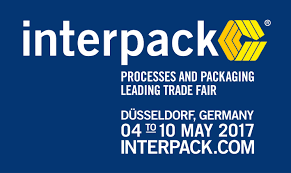 O4-10th May : This event know at Interpack is an event for companies in the food,beverage,confectionery,bakery,pharmaceutical,cosmetics,non-food and industrial good sectors. This event will take place in Dysseldorf. 7-11th May : German companies and Investors will be visiting Cameroon. 31 May to 4th June : Business Trip from Cameroon to Germany. 25th-26th May: Trade fair for wood working and wood processing Machinery,plant and equipment in Germany. May 30-June,2 : Exhibition of products in the Solar industry in Munich. German House Cameroon is a company that help individuals and business to make good and profitable deals with German firms. The German House focuses in promoting Investment, technological partnership and economic development by working in cooperation with German firms. German House is located in Bonamoussadi in Douala,Cameroon. For those interested in the forum o taking a business trip to Germany, email : ransom@ransbiz.com to get started. Comment if you have some doubts please.